The Midgard Worldbook is here! It is an age of war. Civilization slowly gives way to encroaching wilderness, and once-mighty empires now lie beneath the waves. Only magic and the warmth of hope keeps lights aglow when dread things prowl, and priestly wardings are bent by demonic rage. Full lore on the pantheons of the Northlands, Crossroads, Elves, and others, including divine domain lists, rituals, divine demands, and the various masks and sacred texts—plus rituals and ambitions of the Dark Gods, for the GM’s eyes alone! Forbidden lore of blood magic, void magic, and various dooms and items not meant for players’ eyes! 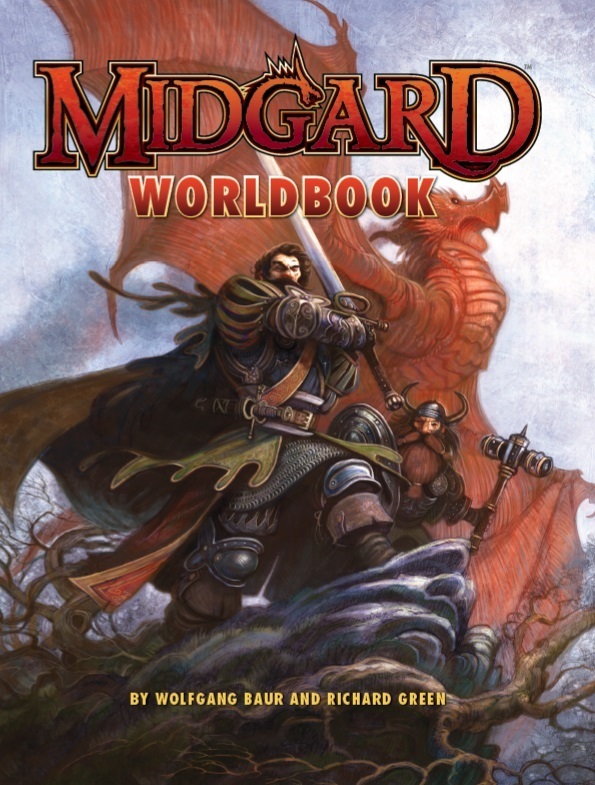 Snag your own copy of the Midgard Worldbook today! 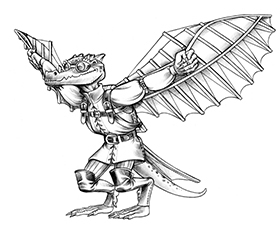 And don’t forget the Midgard Heroes Handbook and Midgard DM Screen & Character Sheets (5E | Pathfinder). Will there be a stand-alone digital map? It’s available now in beta. Silly question, am I right in thinking this version system free, though there are separate supplements for 5e and Pathfinder? Where is the flipping index!? I was planning on making this world the setting for my future campaigns, but the lack of an index is making it way too much work to learn the details of this world and prep a game. The table of contents is not good enough for me to know where to look for info about airships, for a description of what a Shadow Elf looks like, or for what a Jotun is. Very, very frustrating! Most likely to the point where I will put this one on the shelf and find/create another setting to use going forward. I agree. This huge tome REQUIRES an index. Navigating with the table of contents is agony. Actually it’s futile. I got a headache and gave up. Sorry folks. Perhaps KP will put out an index in a pdf? 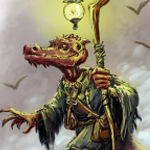 Will there be a Southlands edition for 5e? Having bought the book a few days ago, i can say without a debt it has a Southlands section in the book. Starts on page 166.